May 6, 2013 was the day I first visited my doctor about a sensation in my throat. She noticed a lump on my neck. 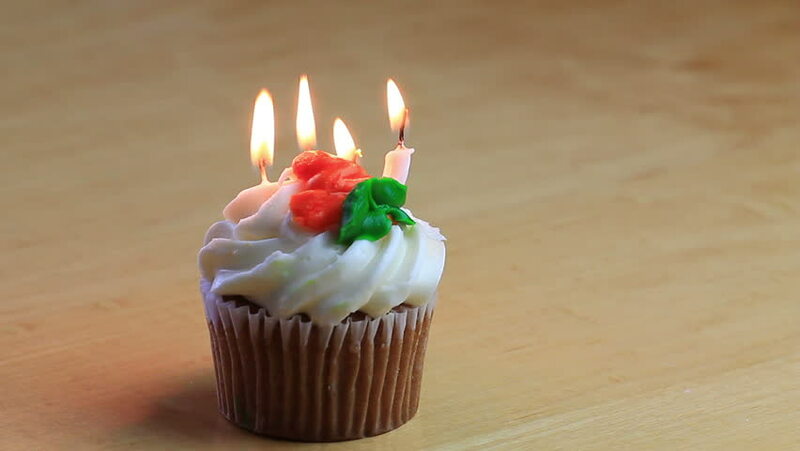 Thus, today is the fourth anniversary of my cancer diagnosis. I'm doing just fine, thank you. I go in for surveillance follow-ups every six months now with my next appointment in July. Cancer survival statistics are based on "5-year survival", which is pretty simple: is the patient alive or dead five years from diagnosis? If a particular cancer is going to kill you, it usually does so by then. So, a year from today I'll (hopefully) be an official survival statistic! Since we're on the topic of cancer survival, I thought I'd take the opportunity to give you the big picture. 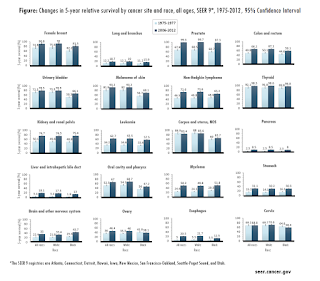 One thing I've learned in my new job is where cancer statistics come from: cancer registries. 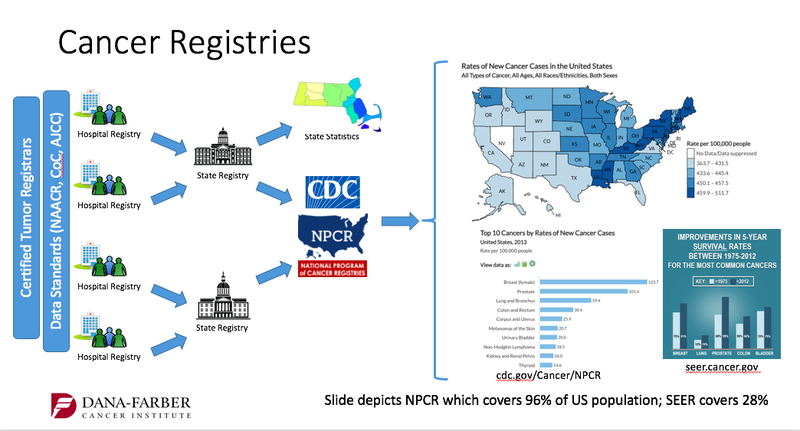 Every hospital that treats cancer must report cancer incidence to their state registry. The process is designed so that a particular patient is only reported once (even though they may be treated at multiple hospitals) to avoid double counting. These registries are staffed by Certified Tumor Registrars. These are specially trained people, many with medical backgrounds, who carefully curate each cancer case to accurately record data such as patient demographics (age, gender, zip code, etc.) date of diagnosis (important for survival statistics), actual diagnosis, site of the tumor, initial treatment and response to initial treatment, and a whole bunch of other data. That data is collected at the state or regional level and then reported onward to the federal government through two programs: the National Cancer Institute's SEER program (Surveillance, Epidemiology, and End Results, covering about 28% of the US population in 15 regions) or the CDC's National Program of Cancer Registries (covering 45 states and D.C.). 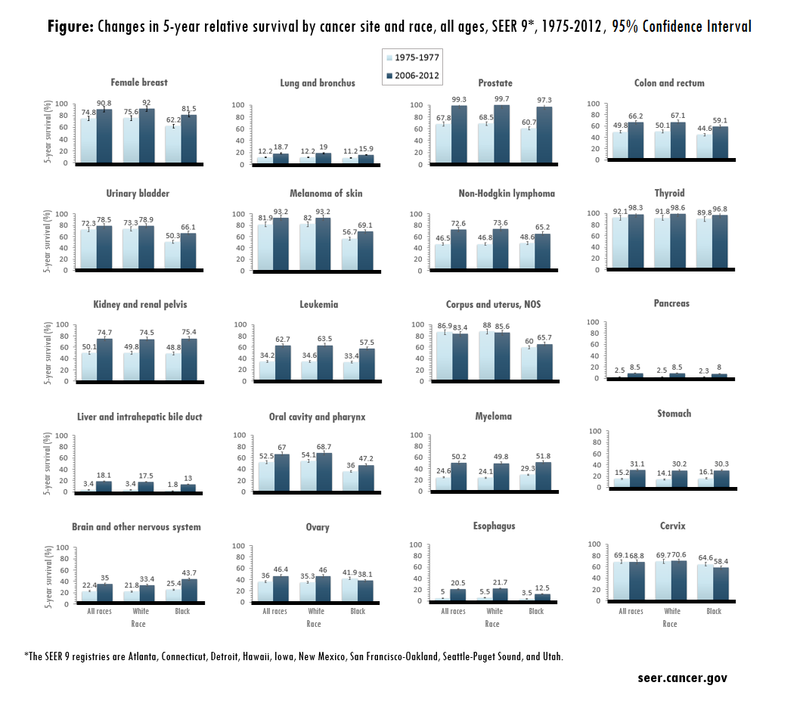 All that careful data collection enables us to see trends in cancer over long periods of time. In the 1970s you had 75% chance of surviving breast cancer. Now you're chances are above 90%. Prostate cancer 5-year survival was 67.8% and is now above 99%. There are still too many cancer types in which we haven't made much progress: lung and pancreatic cancer are still very bad news, for example. Many of the cancer types with poor survival, especially those two, are due to the fact they tend to be asymptomatic and therefore are not discovered until they are at an advanced stage. Researchers are hard at work on that. Tumors, including nascent ones, shed both complete cells and also contents of dead cells into the bloodstream. There is hope that "liquid biopsies", which aim to detect cancer cells or cancer cell DNA in the bloodstream, will be able to detect these and other cancers much earlier. That approach is still a ways from routine use. As you can imagine, the number of tumor cells or amount of tumor DNA in the bloodstream is very low; identifying them reliably is like trying to tune in a very weak radio signal. One advance that doesn't yet show up in the survival statistics above, since they currently cover the period through 2013, are the "immunotherapy" drugs Opdivo (nivolumab) and Keytruda (pembrolizumab). These are among the first approved drugs that leverage the immune system to attack cancer - they essentially "decloak" the cancer so the immune system can see it. These drugs were approved by the FDA in 2014 and have had a dramatic effect in some cancers, especially metastatic melanoma (melanoma that has spread). About a third of these patients, for whom the prognosis was previously less than one year of survival, have experienced complete remission. Anyway, I'm glad to still be here four years after my own diagnosis. And I look forward to becoming a statistical survivor a year from now.